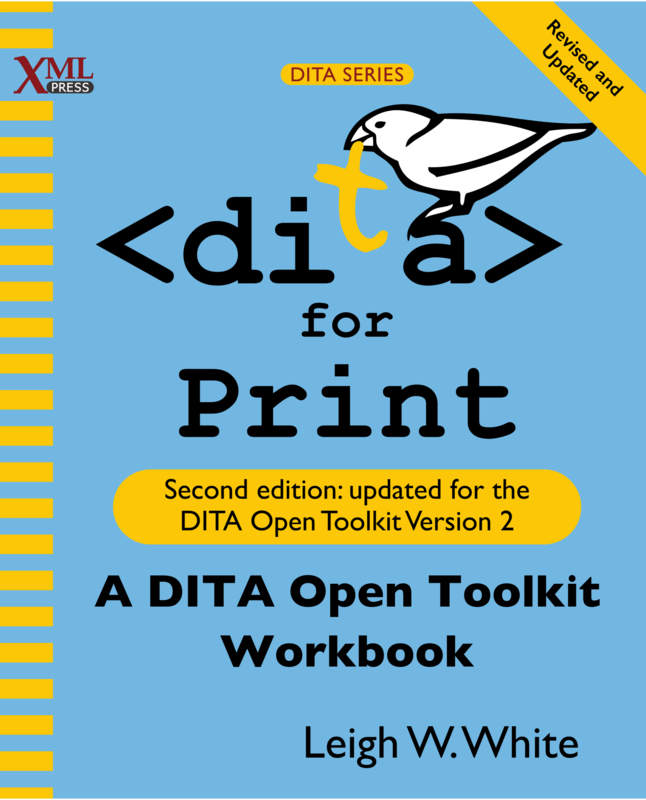 DITA for Print is for anyone who wants to learn how to create PDFs using the DITA Open Toolkit without learning everything there is to know about XSL-FO, XSLT, or XPath, or even about the DITA Open Toolkit itself. DITA for Print is written for non-programmers, by a non-programmer, and although it is written for people who have a good understanding of the DITA standard, you don't need a technical background to get custom PDFs up and running quickly. As DITA has become more and more popular, demand has increased for tools that can provide high quality PDFs from DITA content. The DITA Open Toolkit provides a basic PDF capability, but nearly any real-world application will require customization. Leigh White’s book, DITA for Print, has become the go-to reference for building a print customization plugin for the DITA Open Toolkit. 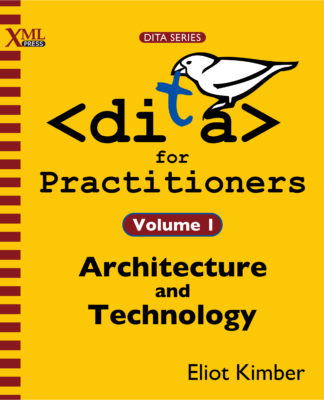 This second edition covers the DITA Open Toolkit, version 2, including customizing the DITA 1.3 troubleshooting topic type, localization strings, bookmarks, and the new back-cover functionality. 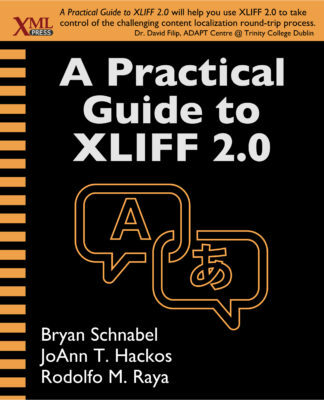 DITA for Print is for anyone who wants to learn how to create PDFs using the DITA Open Toolkit without learning everything there is to know about XSL-FO, XSLT, or XPath, or even about the DITA Open Toolkit itself. DITA for Print is written for non-programmers, by a non-programmer, and although it is written for people who have a good understanding of the DITA standard, you don’t need a technical background to get custom PDFs up and running quickly. Leigh White is a DITA Specialist with Ixiasoft. Starting out as a technical writer and moving into information architecture, she has been working with DITA since 2008, developing workflows, standards, and publishing tools. She has a strong interest in helping small technical publication groups on a budget leverage tools and improve processes to raise efficiency, increase productivity, and save their sanity. She advocates that effective technical communicators need to be more than writers; they need to be part programmer, part designer, and part project manager, and she hopes this book is a helpful step in that direction. The term DITA and the DITA logo are used with permission from the OASIS open standards consortium.